Sweet treats and pretty makes. 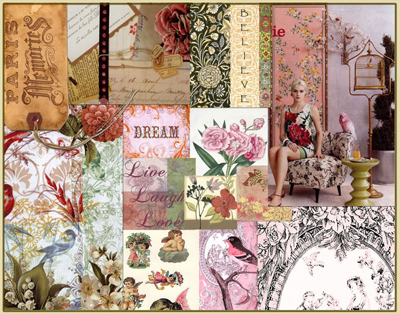 I swear by mood boards; not only do they help you create a clear image of the theme your project is going to be but they can also create a beautiful piece of artwork. I myself have hung the mood board I made for my bedroom, in a lovely frame and if I do say so myself – it looks great! Now cut and stick till your heart is content, after all its free, enjoy! Tags: mood board, project | Permalink.